It’s always great to get some recognition for the work you do as a business. It’s even better when that recognition comes directly from the people that really matter to us – you, the customer. Here at Snowcompare we’re very proud of the work we do. In a short space of time we have been able to help hundreds of people book cheaper ski transfers easier than ever before. 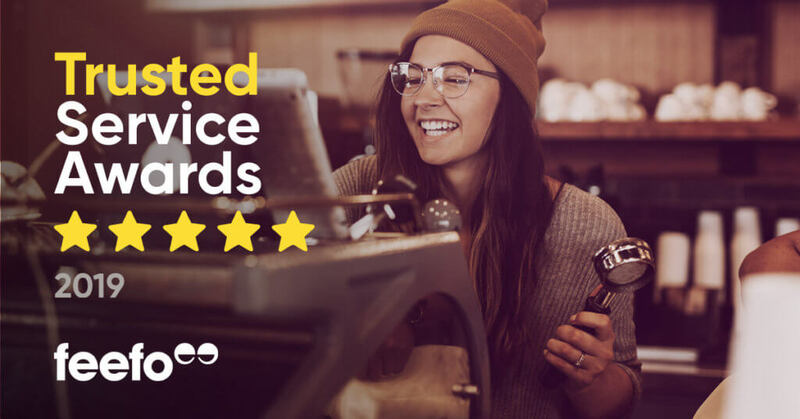 Partnering with Feefo gives us independent, verified feedback directly from our customers – and we couldn’t be happier with the views coming back. The feedback we have achieved here means the world to us, and now we’re even prouder to have been awarded Feefo’s Gold Trusted Service Award 2019. Given only to those companies who provide outstanding levels of quality and customer service, it’s a great recognition of the hard work that goes in to the running of Snowcompare. Being a small company, we’re even happier to be joining some of the ‘big boys’ of the travel industry like Thomas Cook & Expedia who have won the award. As our company develops and advances it is customer service and satisfaction that will be vital to making us a key player in the ski holiday business. Once again, we’d like to thank all our customers for their glowing feedback, and the team here at Snowcompare will continue to strive towards everything running at a 5* Gold standard in future years.